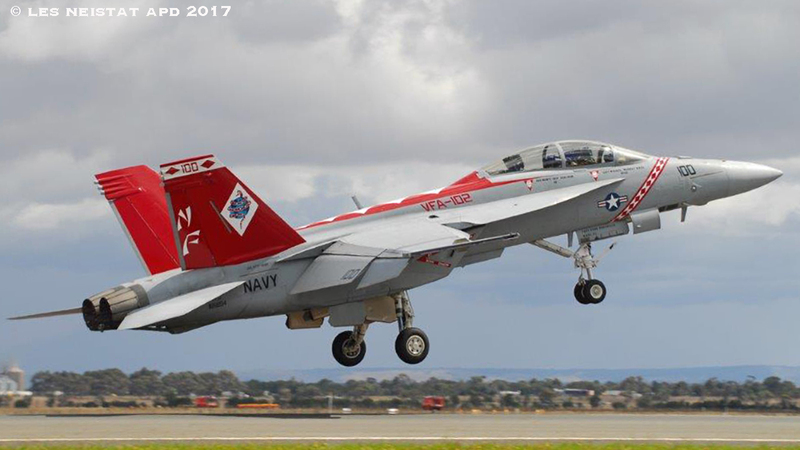 Every two years an airfield to the south west of the City of Melbourne in the state of Victoria plays host to the Australian International Airshow which is held at Avalon Airfield. 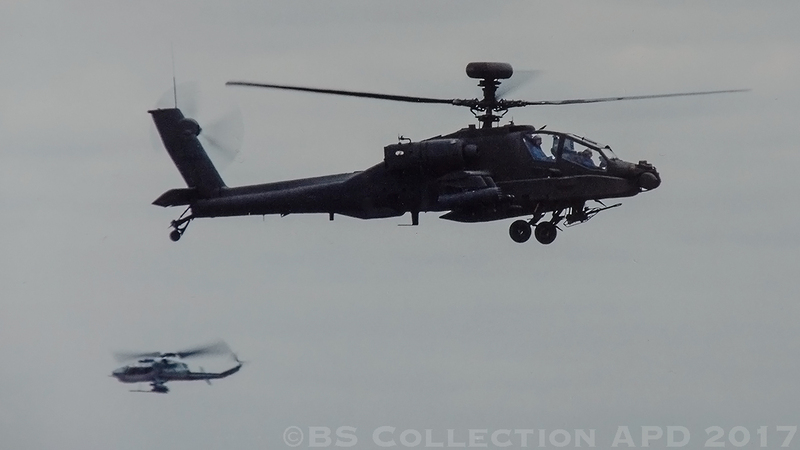 Since the airshows inception and inaugural event back in 1992, the United States has always been generous in providing assets to display in front of the Australian crowds. 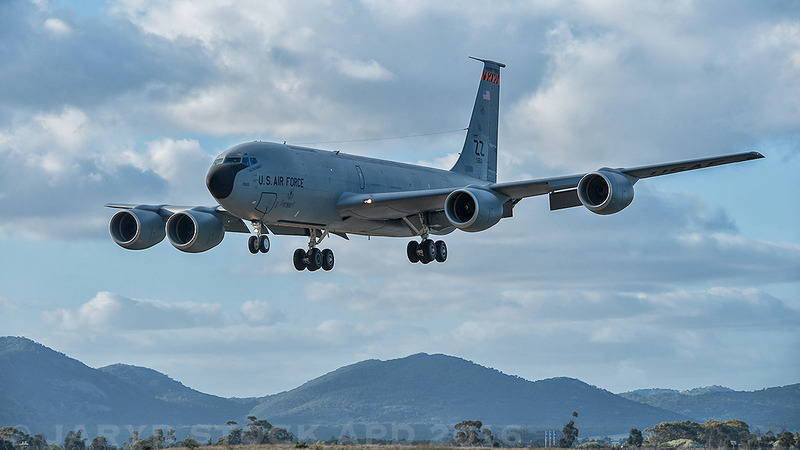 In Australia, we always love to see an aircraft with full Stars ’n’ Bars with black writing blazoned across the side of the aircraft stating U.S. Air Force across a grey hull. 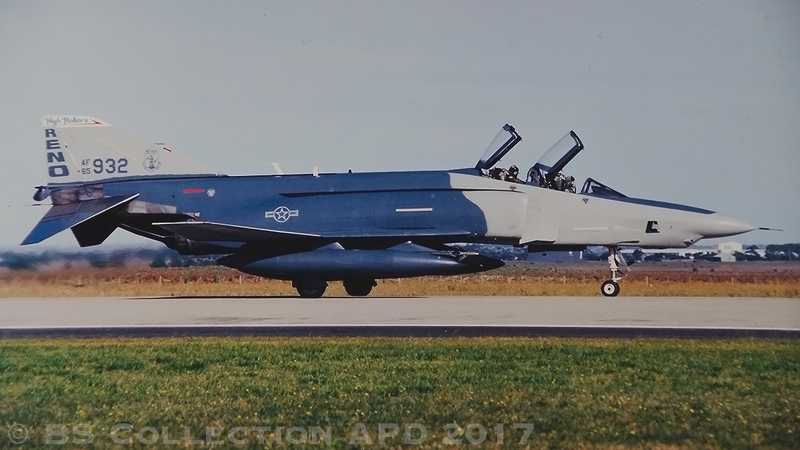 In 1992, crowds were treated to a feast of military hardware especially the aircraft that the United States Air Force had sent which consisted of two F-15C Eagles from the 12th Fighter Squadron supported by two KC-135’s from Ohio Air National Guard and a C-5 Galaxy. 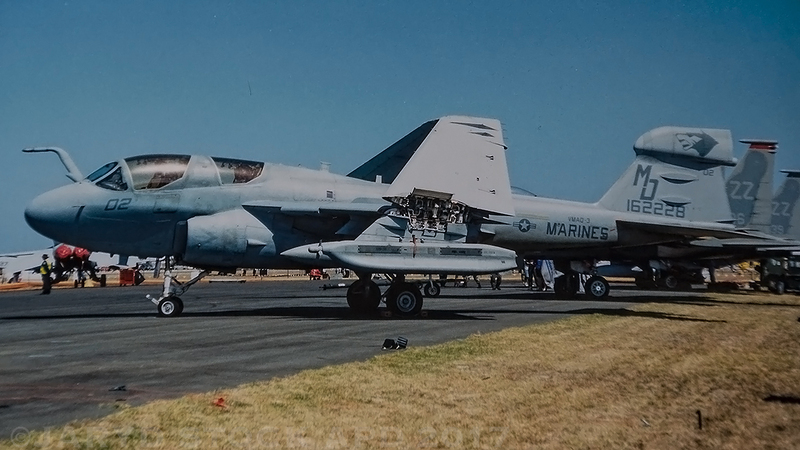 Of interest, also a part of the United States contingent, was a F/A-18C Hornet and a EA-6B Prowler which was a part of the Air Combat Element or ACE from the United States Marine Corps. Since 1992, the United States has proudly displayed the machines to the adoring Australian public, but at events like these are the participation of foreign militaries showcasing their hardware to the public just apart of a goodwill visit? At the last airshow, held at Avalon in 2015, the tradition continued of the United States participating during the airshow there was a full range of aircraft from various USAF and as well as a U.S. Navy Marine Patrol unit attend in the form of VP-45 “Pelican’s” with their newly delivered at the time Boeing P-8A Poseidon. 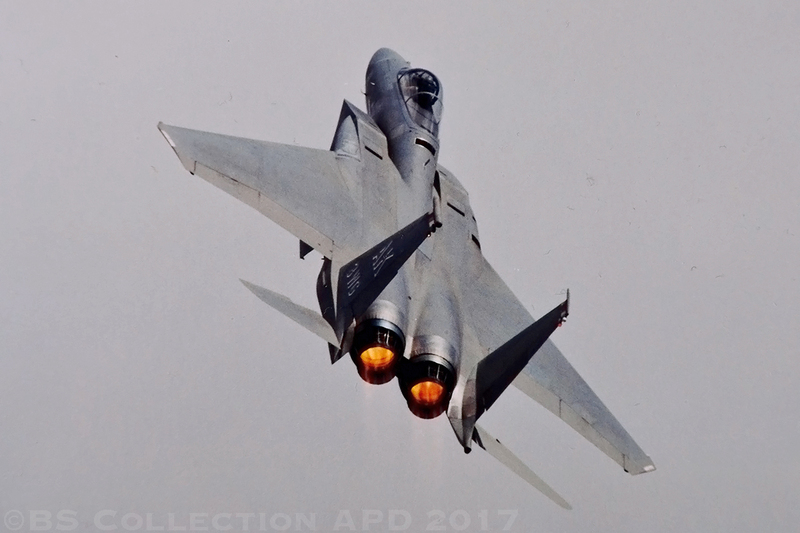 In 2013, the Australian International Airshow was the only event in the world where the F-22 Raptor demo team put on a fantastic display displaying each day of the show, not even shows or the public back home in the U.S. that year got to see that bird of prey in full glory due to the budget restraints that affected all branches of United States military. A part of the lineup for the USAF at Avalon 2015, a first time attendee arrived after handwork from the USAF, the Royal Australian Air Force and organisers from the Australian International Airshow, was the arrival of a RQ-4 Global Hawk. 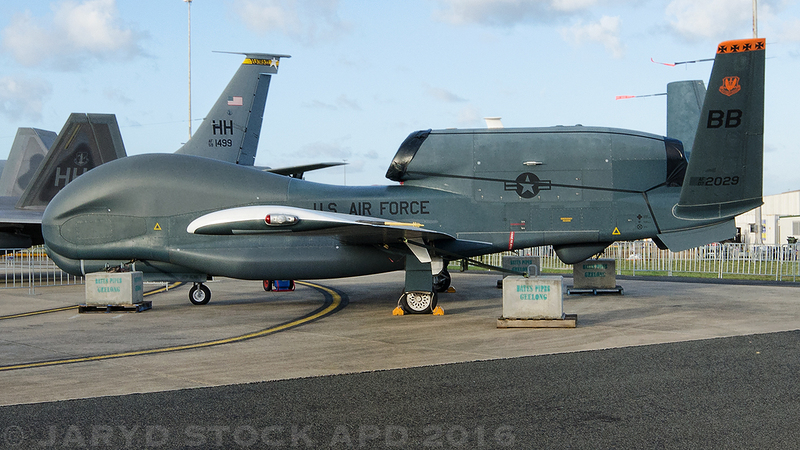 This was a first for the Avalon airshow organisers as this was the first time a Global hawk had been on display to the public at a International airshow outside the U.S.. The aircraft was here to highlight it’s unique attributes to the RAAF as they will be operating the Triton which is Marine Patrol variant and cousin to the Global Hawk. 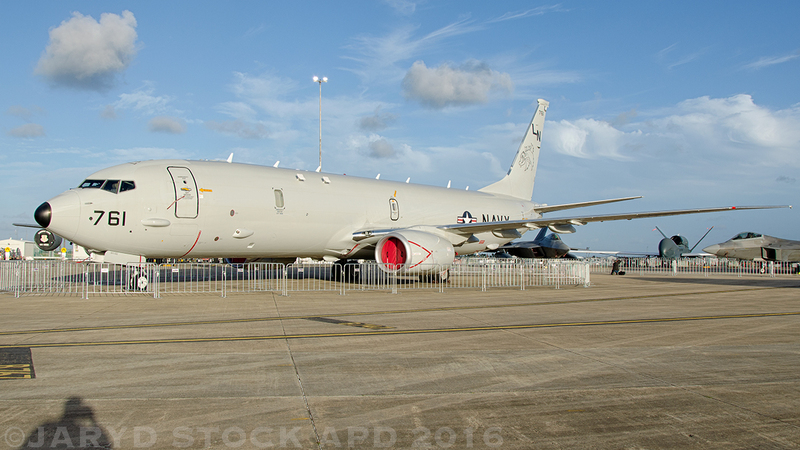 The Triton will be used in tandem with the P-8A Poseidon in the maritime search and rescue role. The RQ-4, which had a detachment based in Andersen AFB during that time period, flew in from Guam and stayed the full duration of the show. 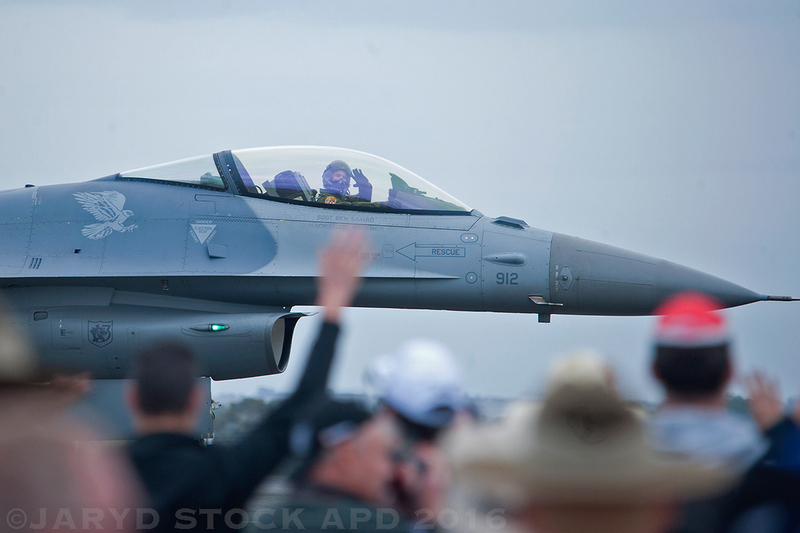 At Avalon 2015, Col. Art Primas was deployed as a part of the United States commitment to Avalon Airshow as he was mission commander, or “air boss”, for nearly 250 personnel that participated or planned the USAF’s contingent of aircraft that attend the 2015 event. APD spoke to Col Primas and asked what it took for the team assigned to Avalon 2015 what actually goes into making sure that the United States Air Force is on strength for the event. He said, “Well it takes a long time to painstakingly make sure everything is setup ready for Avalon from the initial planning stages to us arriving for the show it takes a year. And it takes a lot of planning there are a lot of aircraft that we have sent, and a lot of personnel to organise but we really take a lot of pride in showing off the very best of our aircraft and more importantly we want to highlight our men and women of the air force who come down here away from their homes and families and showing the Australian public that we are great friends, that we are two great nations and most importantly show that we are important partners in this region”. He went on to say, “As a kid I loved airshows and personally I loved World War II aircraft and that’s what started or peaked my interest in myself making a decision in enlisting in the USAF, so we know that it’s important to the public for us to come to Australia and bring the best in what we can. And, like I said, that not only means the aircraft but also the personnel, we want the public here at Avalon and around Australia through various media services like yours to see that we serve to protect America and her citizens and also America’s Allies and their citizens and that is particularly true here in the Asia Pacific Region”. 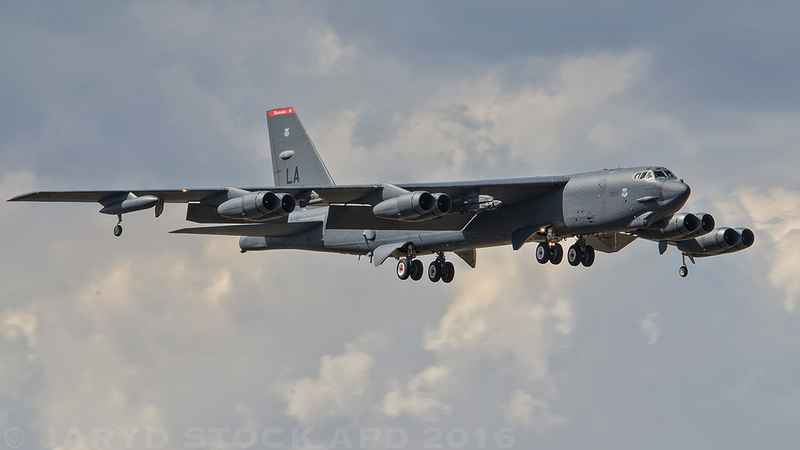 In 2015, the mighty Boeing B-52H Stratofortress returned with a static example on display everyday of the airshow. 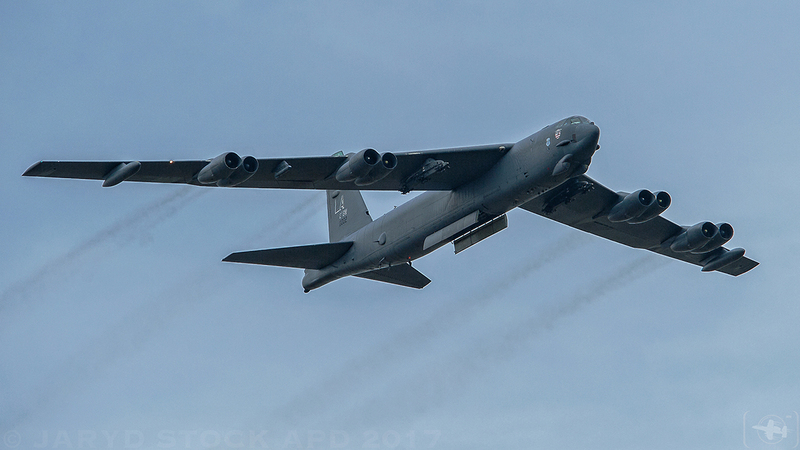 In addition, a single B-52 conducted a flyby on the first public day of the event. 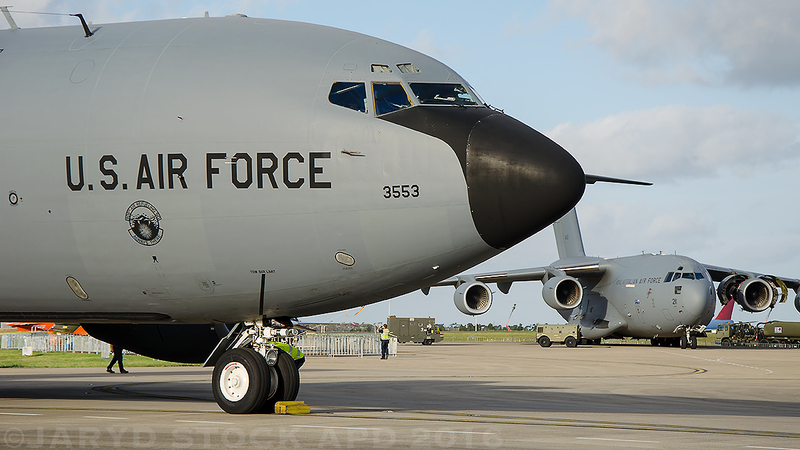 The B-52 flew non stop from Anderson AFB in Guam conducted a few flyby’s and returned back to Guam. 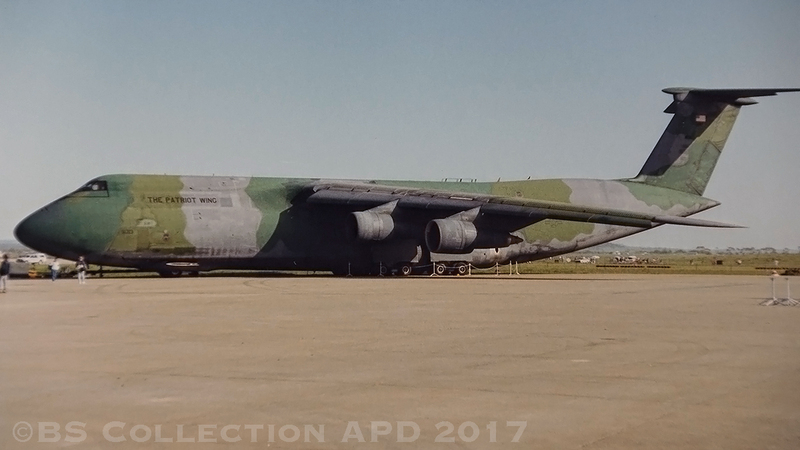 The mighty BUFF is always a crowd-pleaser and a lot of enthusiasts were asking the 93rd Bomber Squadron “The Devils Own” crew members how old B-52 (61-0015) was and if she had seen action anywhere in the world. The B-52 highlights the strategic reach of the United States Air Force as it can at a moments notice be deployed from anywhere in the world to reach a particular destination that can be found on any world map. The B-52 units are regularly rotated through Andersen AFB in Guam as apart of the Continuous Bomber Presence or CBP which was initiated back in 2004. APD spoke to Colonel Kristen E. Goodwin at the time she was 2nd Bomb Wing Commander as she talks about CBP, “Well the CBP is a fantastic opportunity for training and real world operations over the years our team that rotates through Guam have been able to work with joint and international partners such as Australia and I can tell you there is no substitute for this training and experience gained. 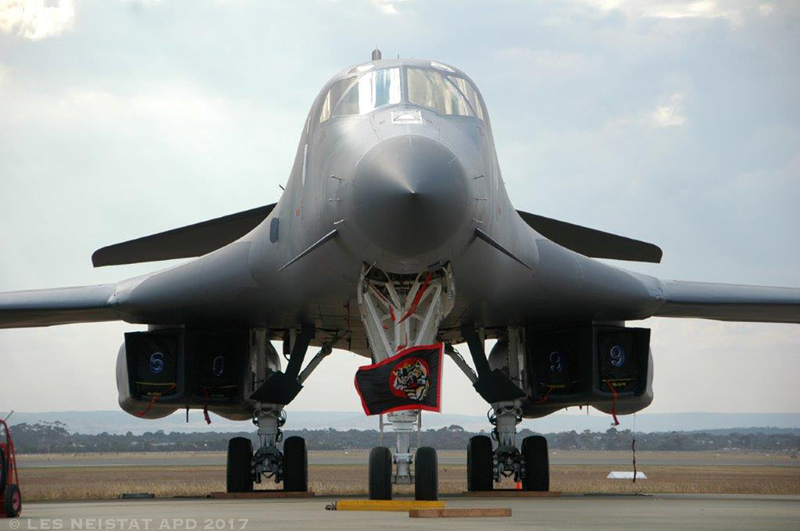 When the B-52 goes to combat we will be striking the enemy with a team composed of our sister services and coalition partners, and one of our biggest partners in the Pacific region is Australia. And Guam affords our airmen the opportunity to work alongside our friends and establish relationships for the future, it’s all about interoperability between coalition partners. 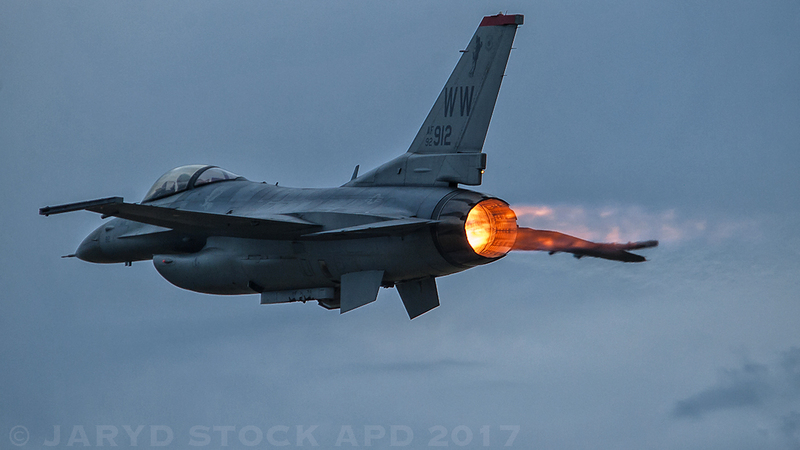 Since 1995, Avalon has been blessed with the appearance of F-16C’s/CJ’s, most notably from the 13th and 14th Fighter Squadrons. 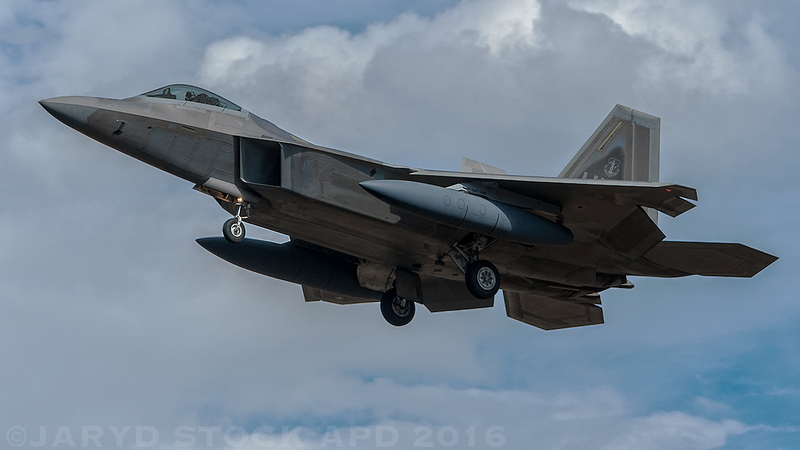 They are based at Misawa AFB to the North of Tokyo in Japan and both squadrons as a part of the 35th Fighter Wing. The F-16C’s/CJ’s carry out the “Wild Weasel” SEAD role, also known as Suppression of Enemy Air Defences. 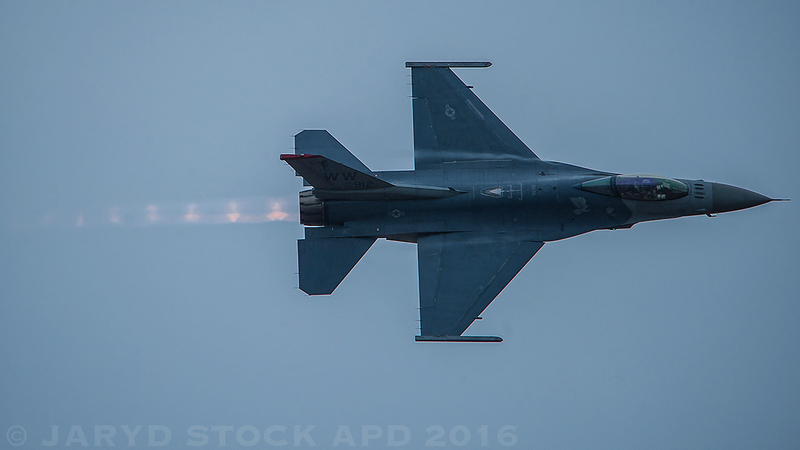 These F-16CJ’s are used by the Pacific Air Forces west coast Viper demo team. Also, always present is a unit that doesn’t get as much praise as they deserve, but, without them, the whole entire force structure of the USAF Pacific Forces would not be as cohesive. They are the 909th Air Refuelling Squadron called the “Young Tigers” based out of Kadena AFB on the Island of Okinawa, Japan. 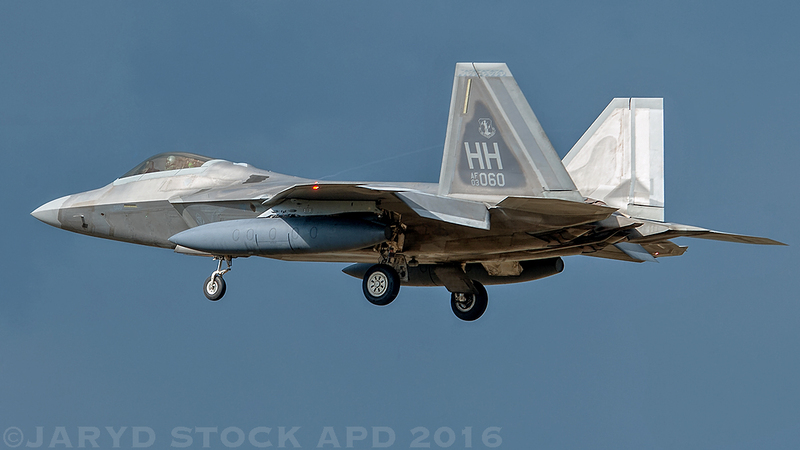 They have been supporting the USAF fighter presence at Avalon for nearly a decade. 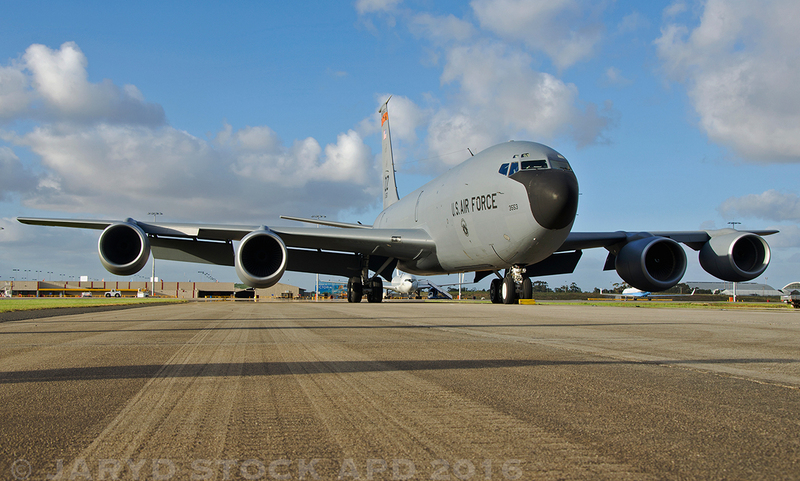 In 2015, to support the Pacific Air Forces West Coast F-16 Viper team, a single KC-135R from the 909th was assigned to provide logistical Air to Air refuelling support. APD spoke Lt.Col. Pete Larrabee who was flight lead of the KC-135 to find out a little more on the 909th’s role in the Pacific and on coming to Australia to partake in the 2015 edition of the Avalon Airshow. 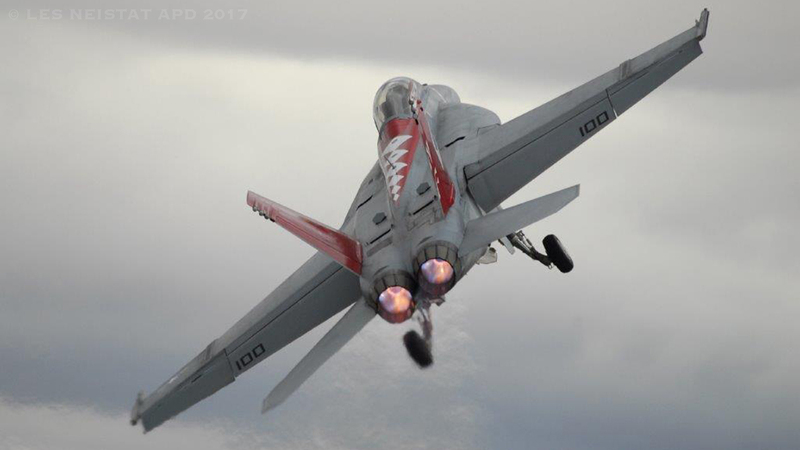 When asked about his squadron’s role at Avalon 2015 he stated, “We’ve been tasked to come to this event and we were excited to finally get there! Firstly we went to India as there was another airshow entitled Air-India that we supported so all up we were away from our home base for a total of three weeks. We had the duty of bringing various elements from Kadena and also Misawa, so we left Kadena, flew to Misawa to pick up support personnel which was around 80 in number, and maintenance equipment that was needed by the Demo team”. He went on to explain that they flew in to RAAF Base Darwin from India after the airshow there, then made their way down to Avalon. 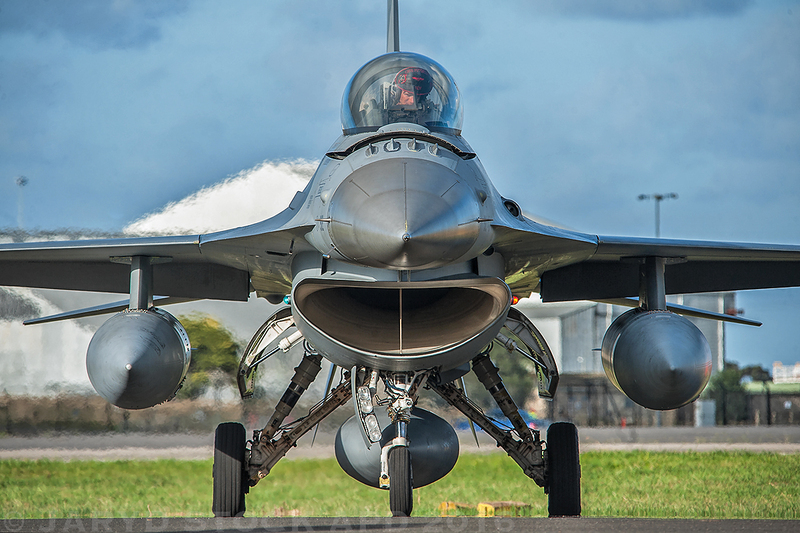 He goes on, “The Vipers fuelled up twice on route between Darwin and Avalon, Really on average we refuel the F-16’s around every two hours for a trip like this one, the Vipers don’t take as much gas as some of the larger fighters, so the Aerial Refuelling (AR) doesn’t take as long. Once connected it takes about 3-4 minutes to get their 7000 pounds of fuel.When there are only two fighters, there really isn’t a pattern, if there are more, normally the fighters cycle from left to right wing as they connect with the boom. The importance of the 909th ARS in the Pacific cannot be understated. Lt.Col Larrabee discussed what this unit and, more importantly, the aircraft and the men and women of the 909th undertake in the Asia Pacific Region. “You have to remember If these tankers fall out it is a really big deal. Nobody realises how important we are until we aren’t there for support. And every unit in the Pacific Air Forces is reliant on AAR support, you can never have enough support. 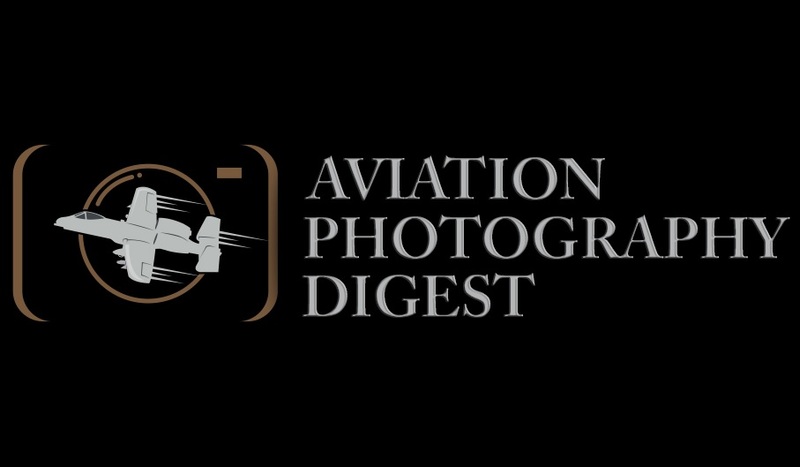 For me personally though I fly a real pilots aircraft, because it is an older airplane, its all cables and pullies. It actually takes some effort to fly it good, and as nice as our new toys (avionics, datalink, etc) are, it will continue to be a pilots aircraft for another 20 years plus So its always interesting to do this flying and refuelling other aircraft at the same time”. The 909th is the premier ARS Squadron of the Pacific and are called upon to various parts of the vast Pacific at short notice. With a total of 15 aircraft it is the largest tanker Squadron in the USAF outside of our deployed location. With a crew ratio they like to keep to a 2-1 crew-jet ratio, but they do have support troops in the Squadron like crew comms and aircrew, flight equipment that add to the numbers of personnel which number anywhere from 80-100 servicemen and women. Speaking on his love of Flying in the USAF and the Airshow itself, the Lt.Col went on to say “Flying is a lot of fun, but the reason I’m in the USAF I would say that the Air Force is in my blood. My mom and dad were in the USAF, My grandfather was in the Army. I love my job because I feel like we do a lot for the overall good here in the Pacific region and with our partners, I enjoy my role in the 909th and I will miss the camaraderie when I leave, and trips to travel around the world. Sometimes I wonder how it is possible to get paid to do some of these trips, I have been to places I never would have dreamed of going when I was younger. And coming to Australia is no exception it was funny when everyone was told in the Squadron that we had been tasked to come down-under everyone was trying to get the gig”. 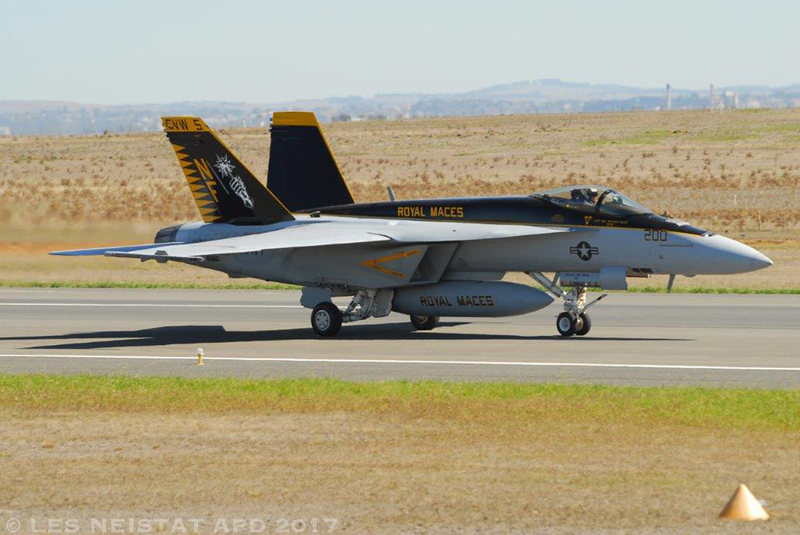 Speaking on the event and the great experience he had whilst in attendance at Avalon 2015 the Lt.Col stated, “This event, it was a well run show I think it was the perfect balance of industry and performance, the support was incredible and the people were all super friendly. Everyone was excited to see the 60 year old tanker and many questioned if it was still flying operationally, I thought that was the coolest aspect”. 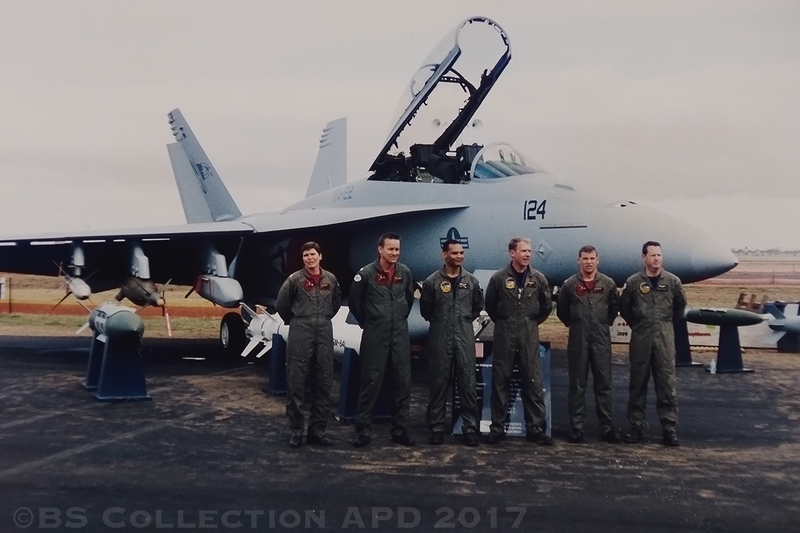 The crew from 909th epitomised what Col Primas stated before, about seeing the best of our personnel, which is at the heart of why the United States Air Force participates in airshows all around the world like that at Avalon. The team from the 909th were warmly welcomed by everyone that was in attendance at the airshow. The crew from the “Young Tigers” had exceeded everyone’s expectations in the way they connected with the general public. The team wanted to be there. They wanted to represent the best to their Australian partners. They had spent a long time deployed for over three weeks away from their homes and families, and were still making sure that anyone that came up to them walked away with a smile on there face. Avalon airshow is more than just making sure that goodwill from the various United States military units in attendance is extended to America’s allies, it’s also making a statement of keeping everyone in the Pacific region aware that the strategic partnership between the United States and Australia is as strong as ever. That it will keep on continuing to grow for a long long time into the future.